Our Year 7 Science and Arts students performed some amazing pitches to the judges in our internal final, focusing on the brief, ‘Food is not Rubbish’. The aim was to get pupils thinking of ways to ensure that food is not wasted, awareness of the issue is heightened and solutions found! They had several weeks to use their lesson time to ensure that 6 boards were produced consisting of: Desk research, human centred research, initial ideas, testing and development, final idea and ‘the pitch’. These carefully crafted, A3 size, colourful boards formed the basis of their presentation. 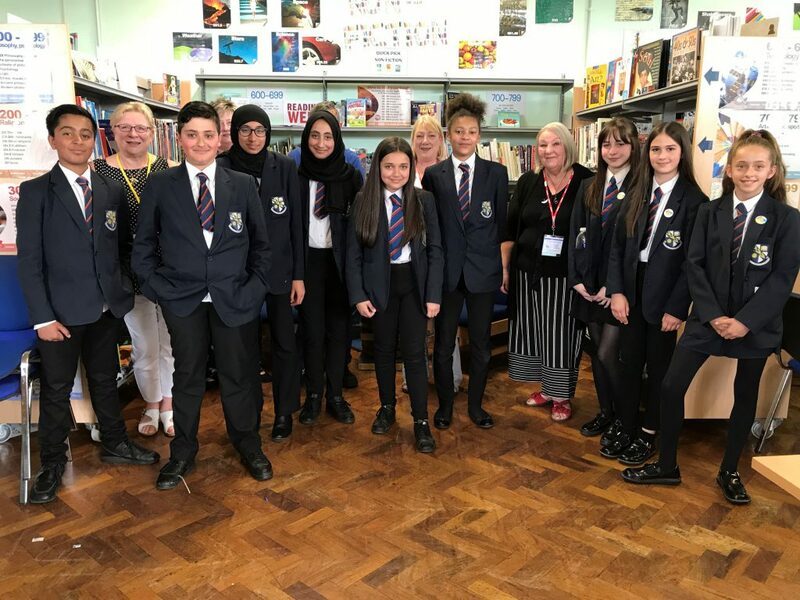 Our specially invited judges from a bank, Radcliffe Rotary and an array of people from the school community, questioned the groups, after viewing their powerful presentations. The groups conveyed innovative, thought provoking ideas. What was particularly impressive was the groups’ grasp of the power of advertising and their confidence. This was a fantastic project to be involved in. The three winning groups will have their work uploaded to the RSA Website site in the hope of securing a place in the final in London. see below: Our enthusiastic students and supportive judges.